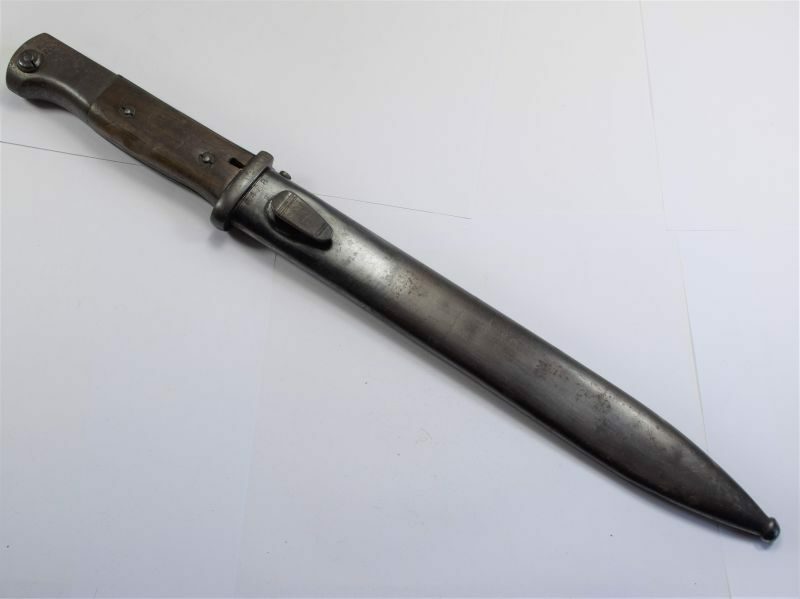 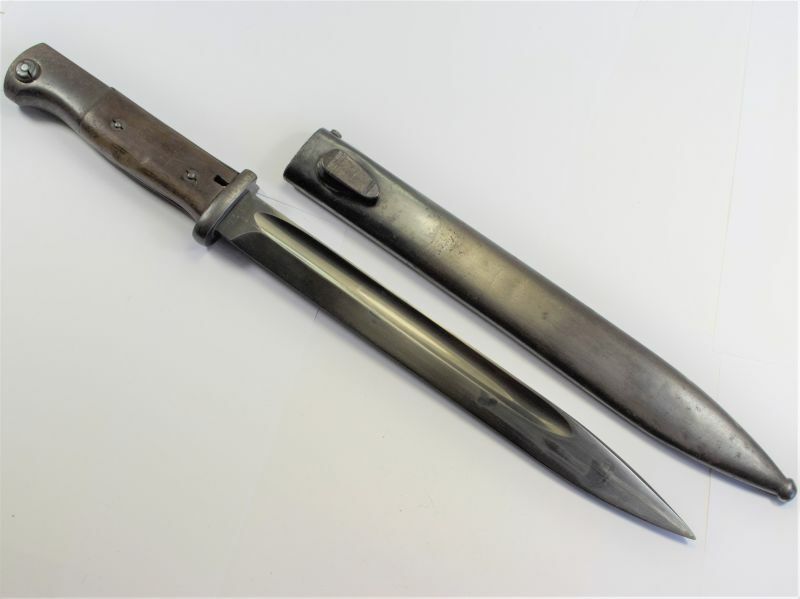 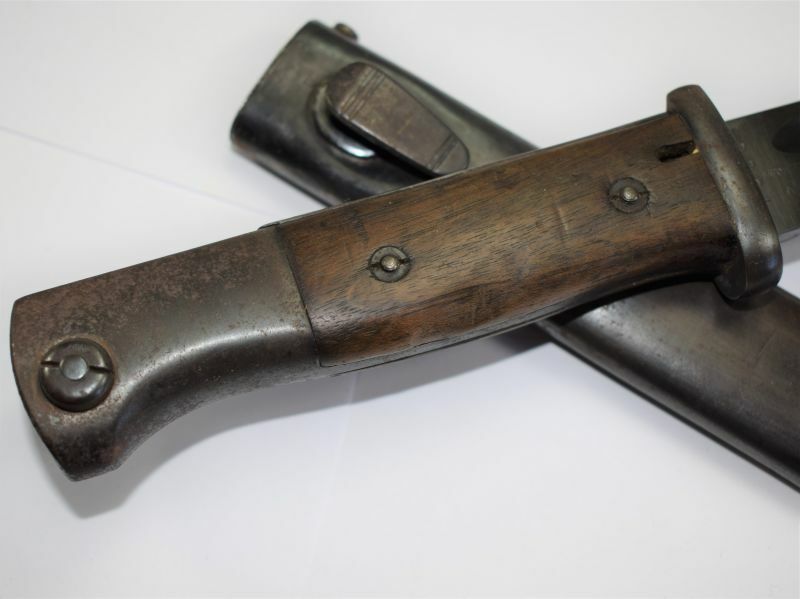 A good original wartime German K98 bayonet and scabbard. 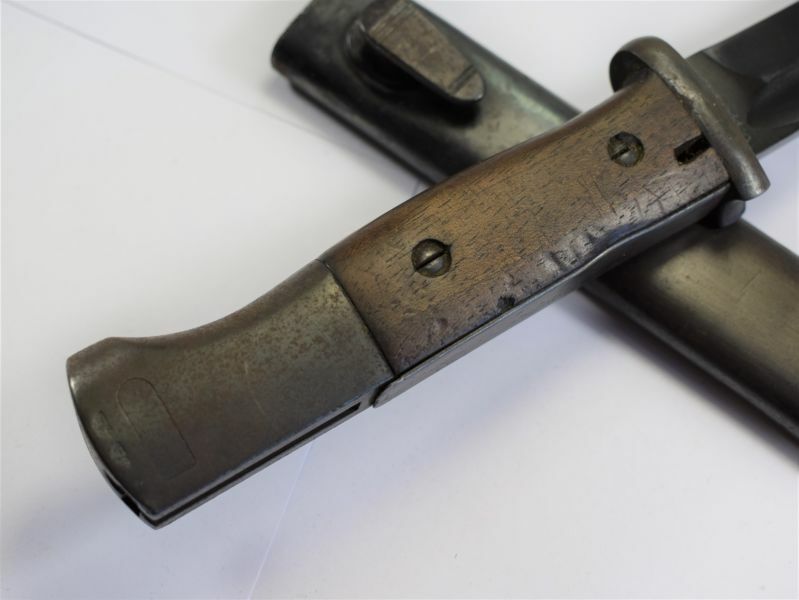 This is a non-matching number set but both are early. 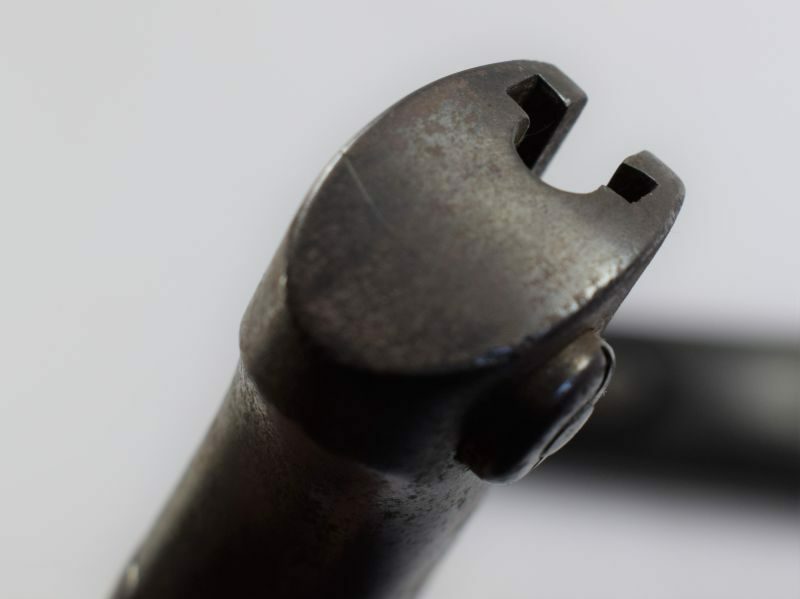 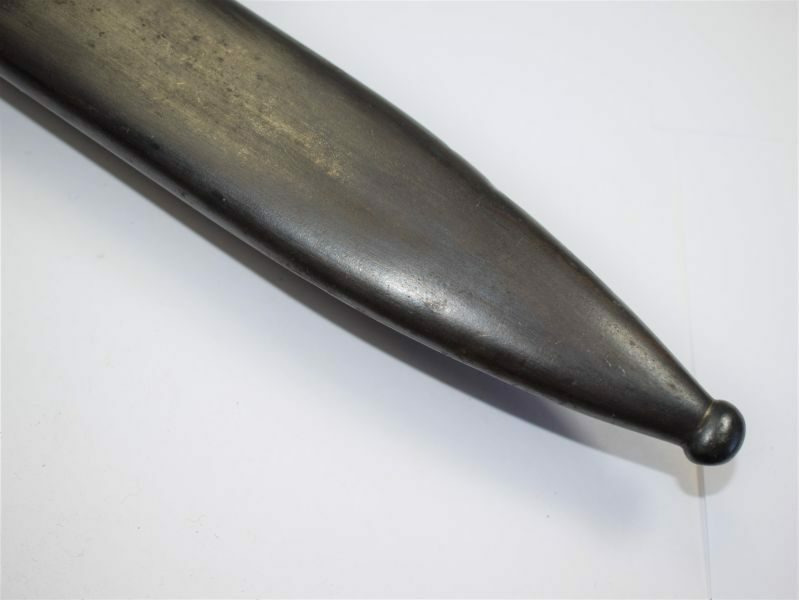 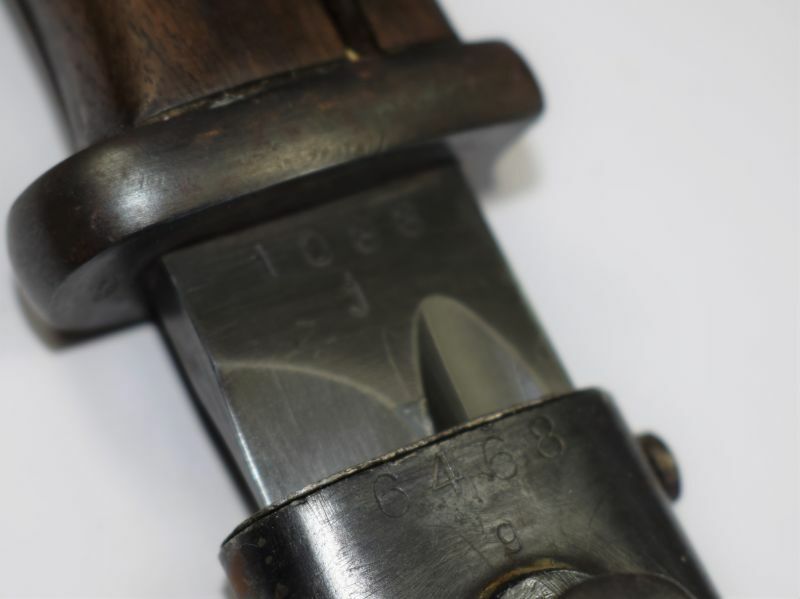 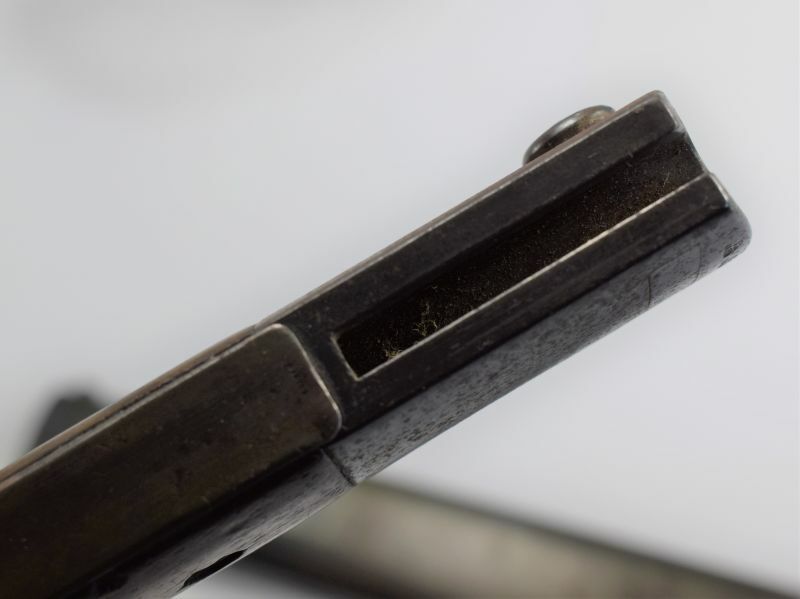 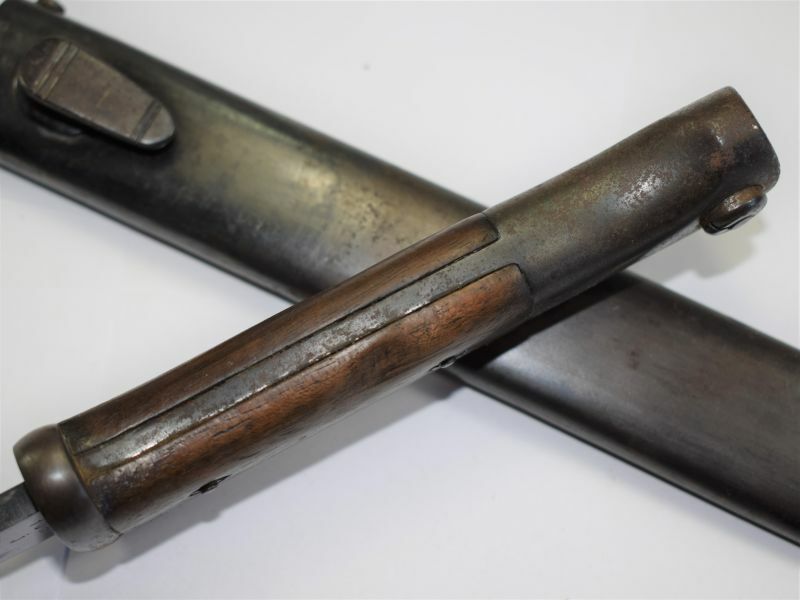 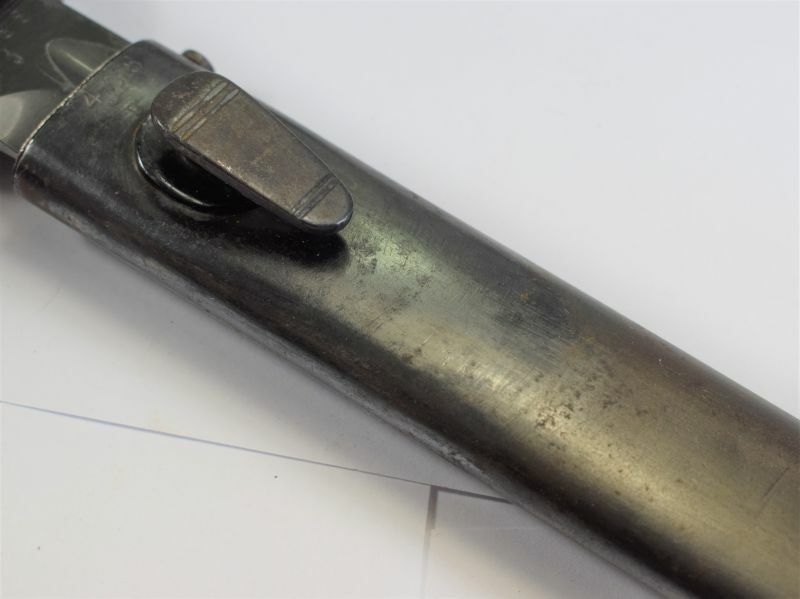 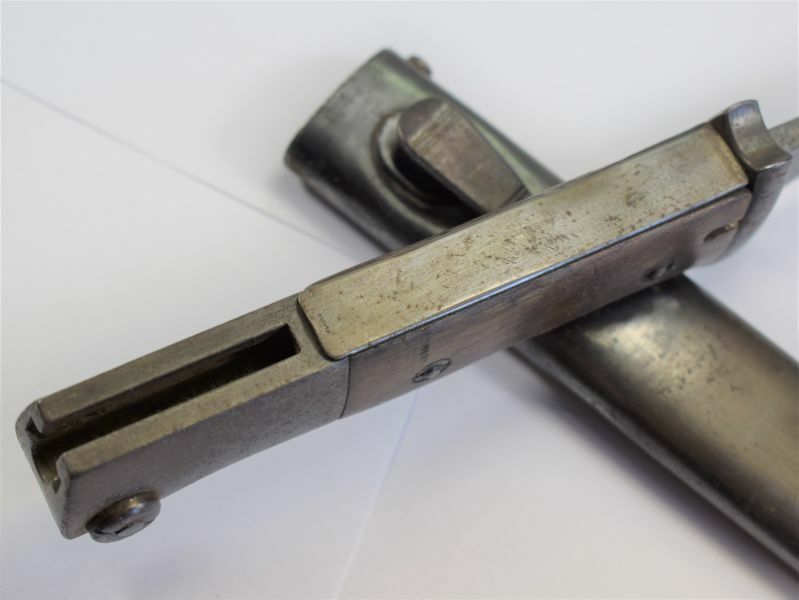 The bayonet pommel is in good order with just minor surface rust, it is nicely marked with the early WaA inspectors eagle. 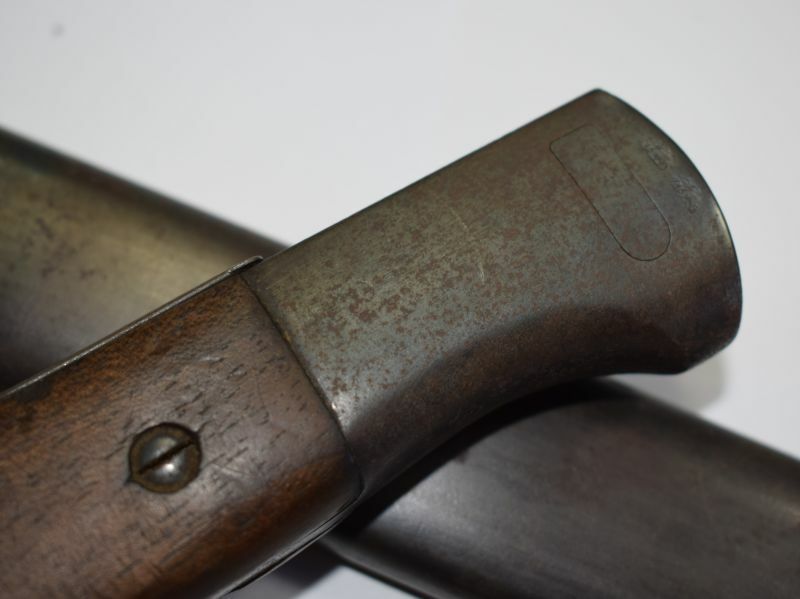 The wooden grips are good with one small edge dent where the flash guard has been dented (see photos) the cross guard is good. 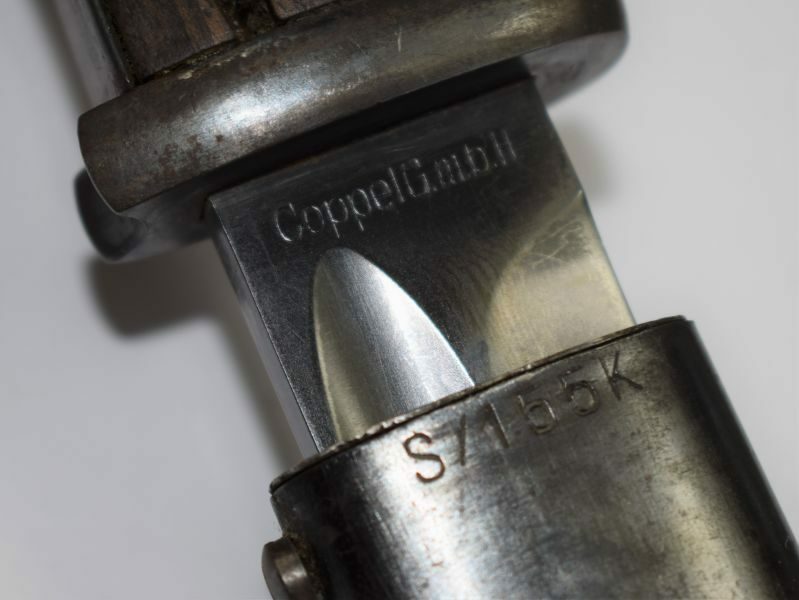 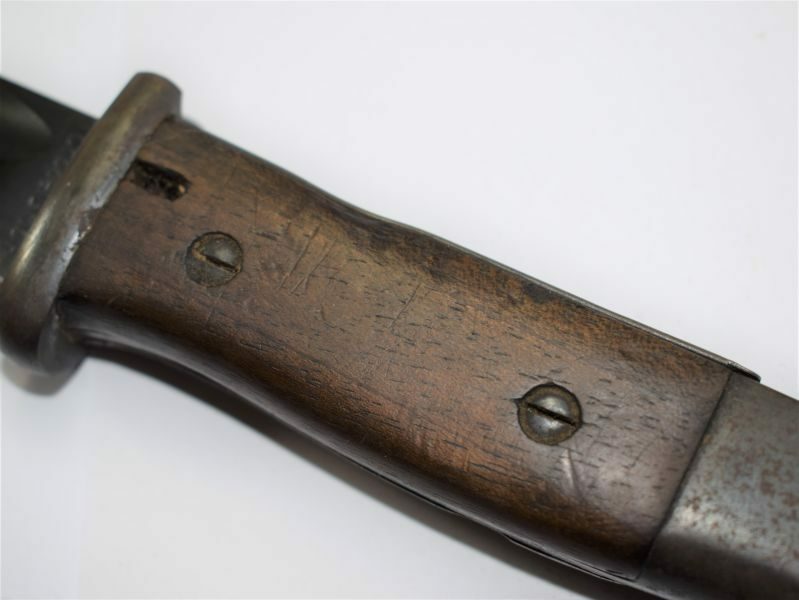 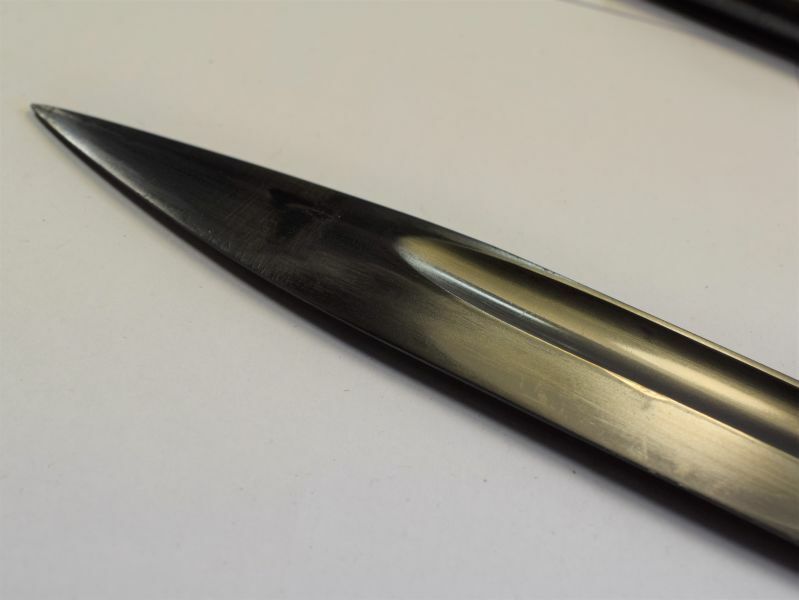 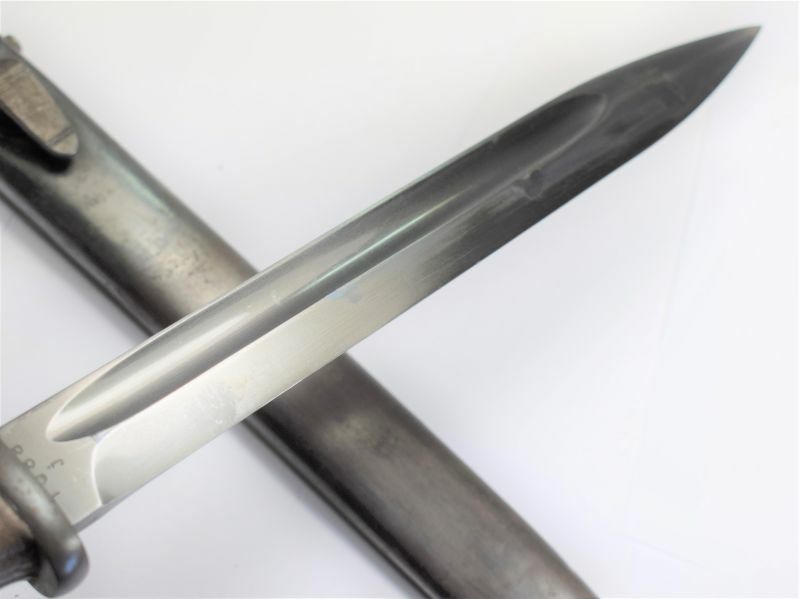 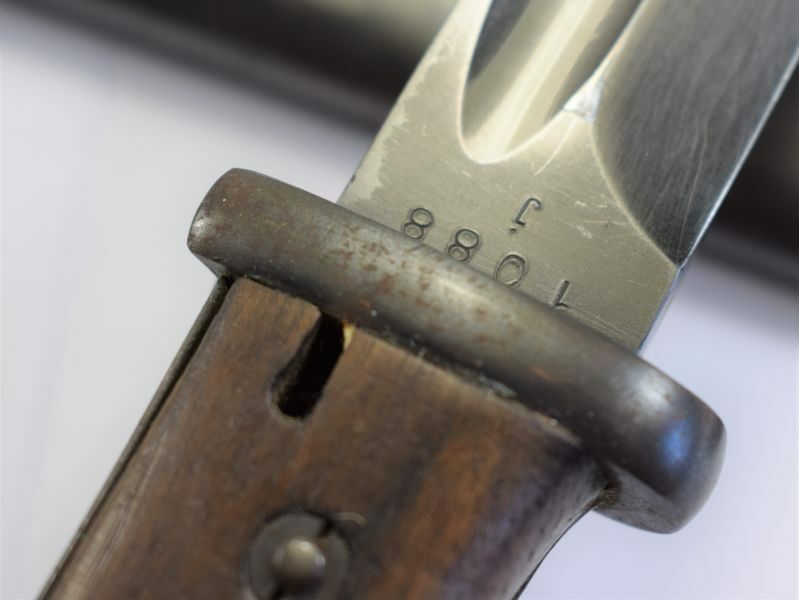 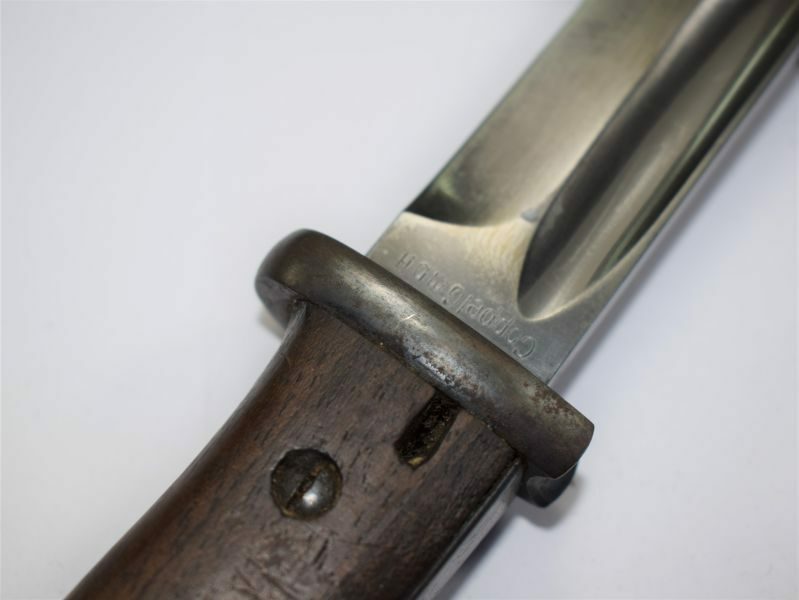 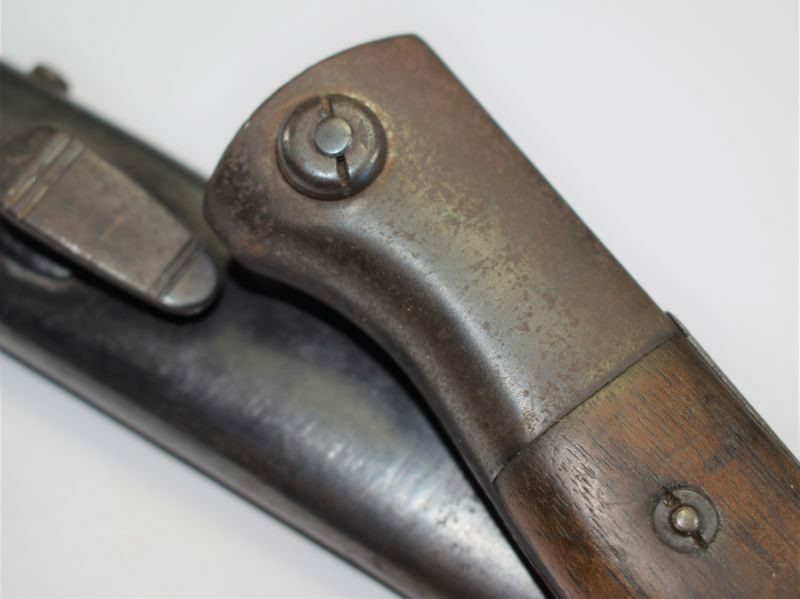 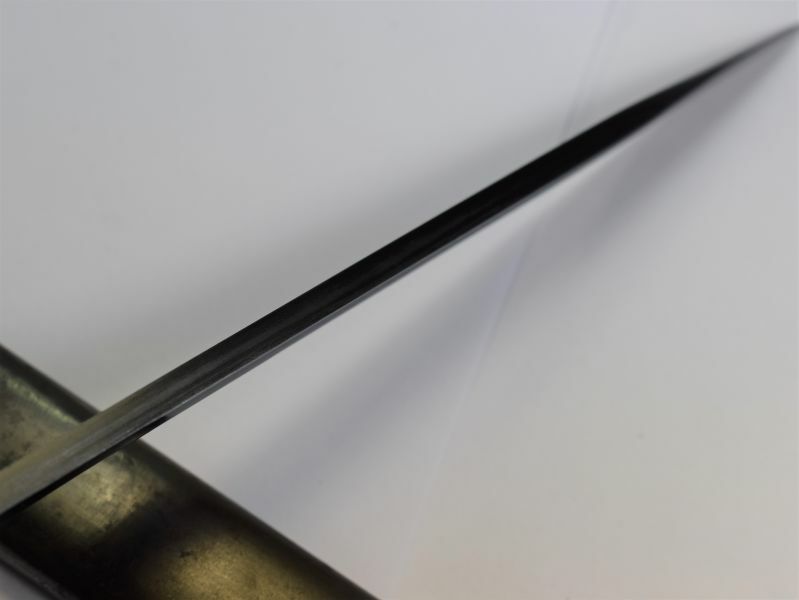 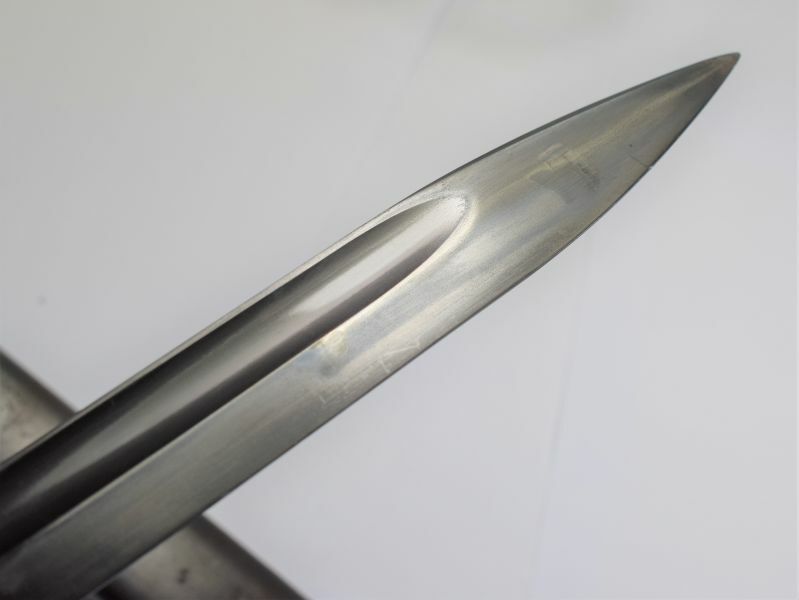 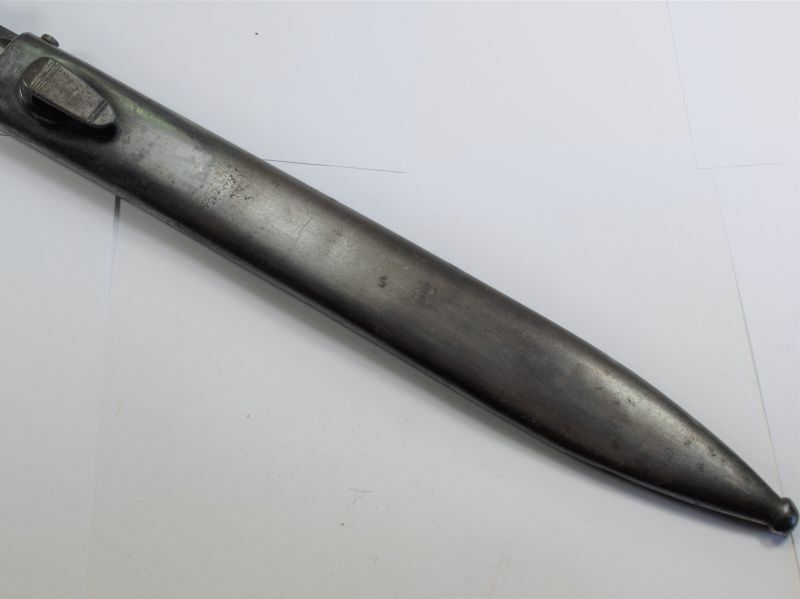 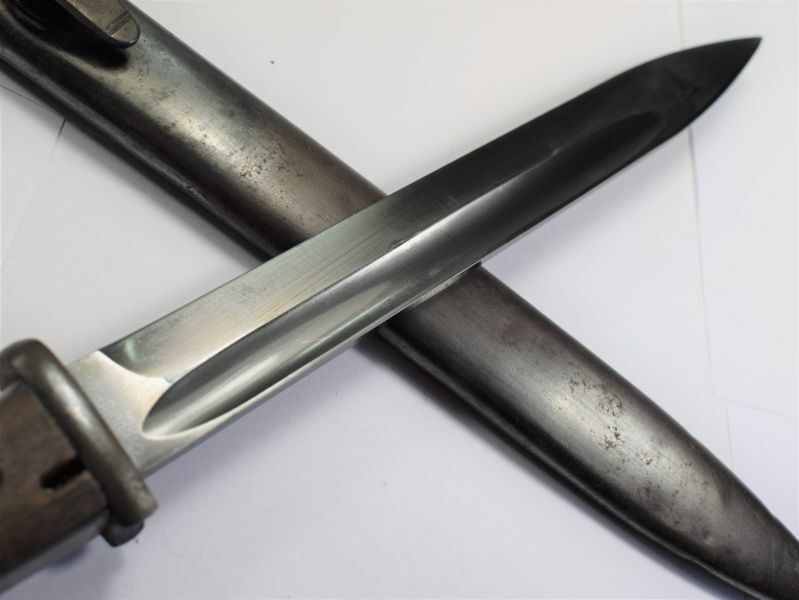 The blade is in exceptional condition and retains pretty much all original finish apart from a few glide marks made by the scabbard, it has never been sharpened and is nicely maker marked and 1938 dated. 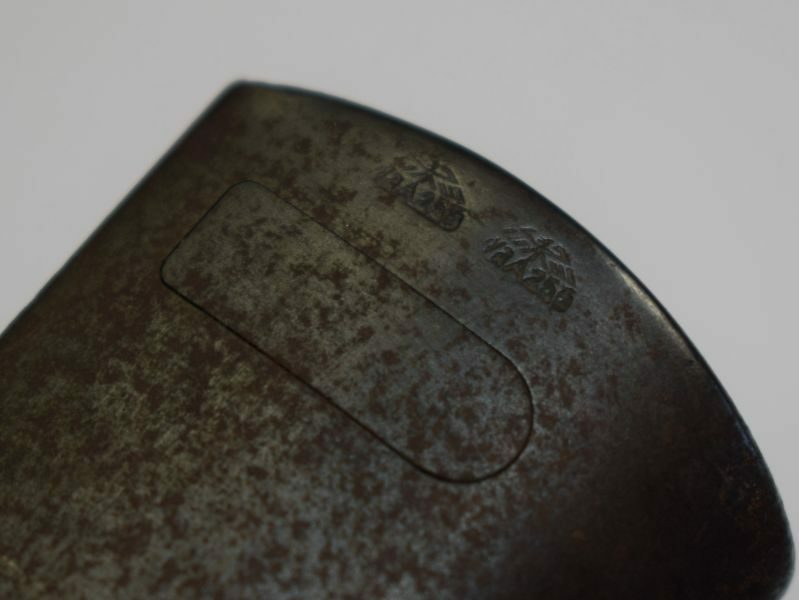 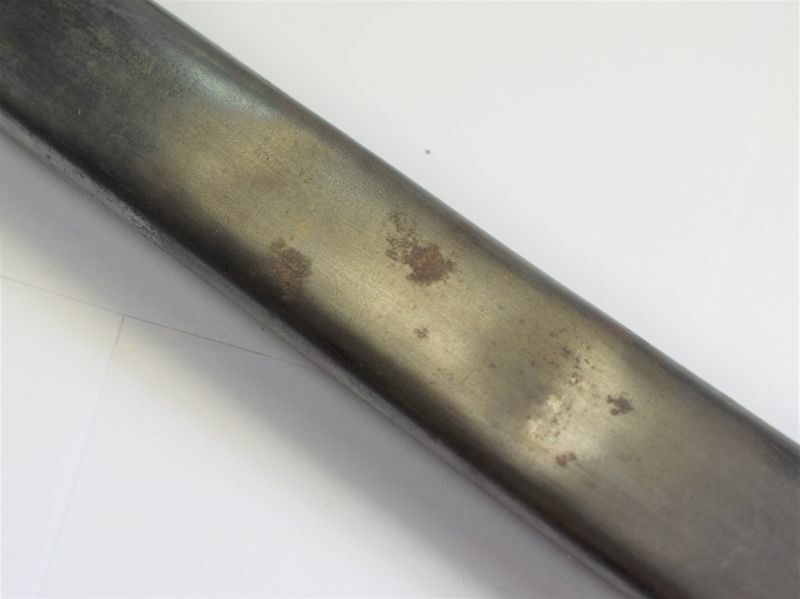 The scabbard again shows much original finish although the lower part is dull and worn from age and use. 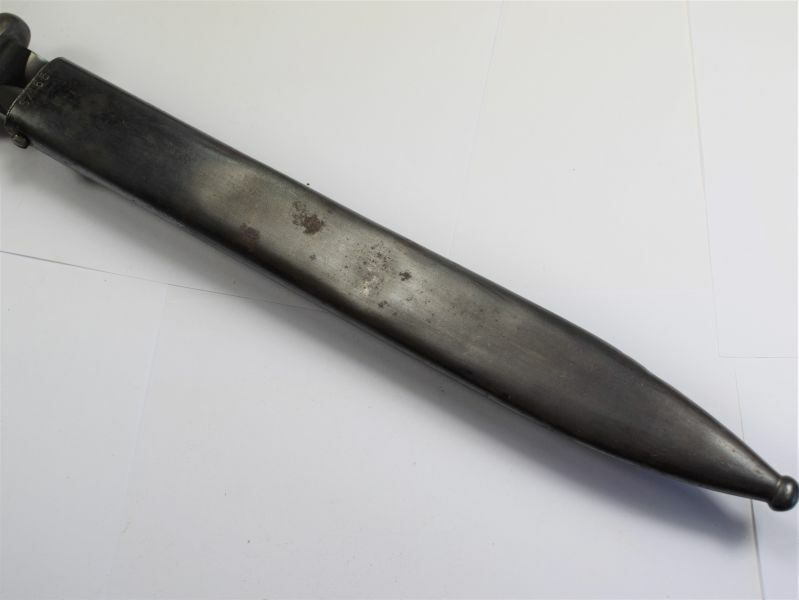 It has a couple of dents to the rear but nothing too bad. 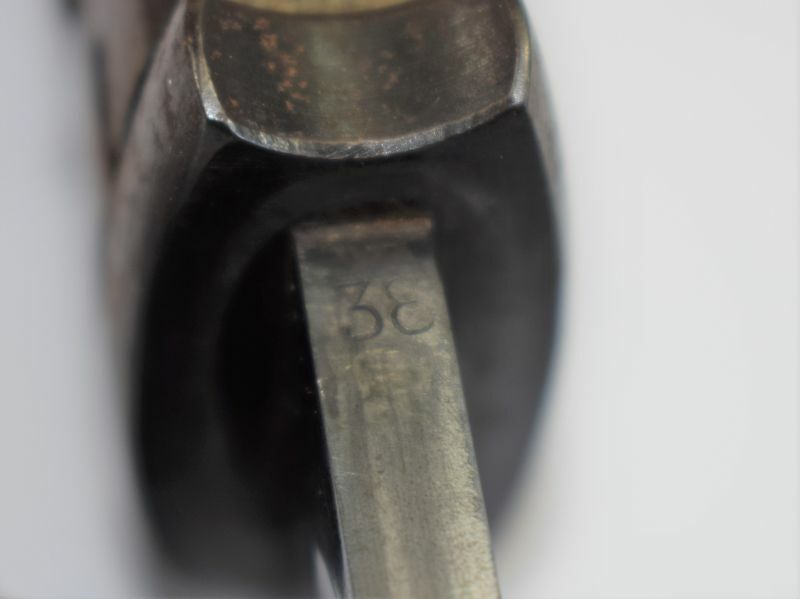 the marking S/155K to the rear dates it to 1934 so pretty early. 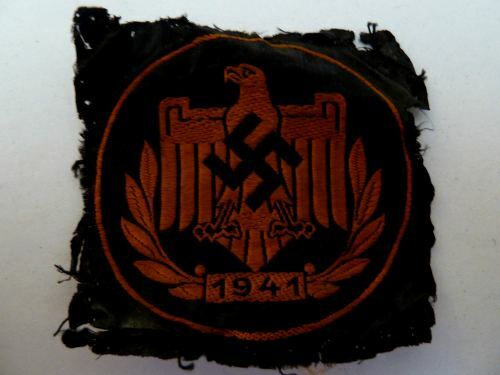 THIS ITEM IS STRICTLY FOR SALE TO PEOPLE OVER THE AGE OF 18! 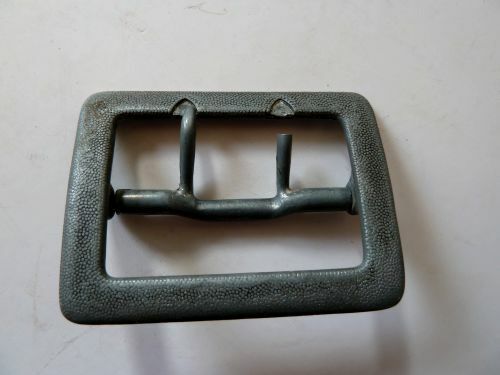 Nice original wartime German belt buckle.